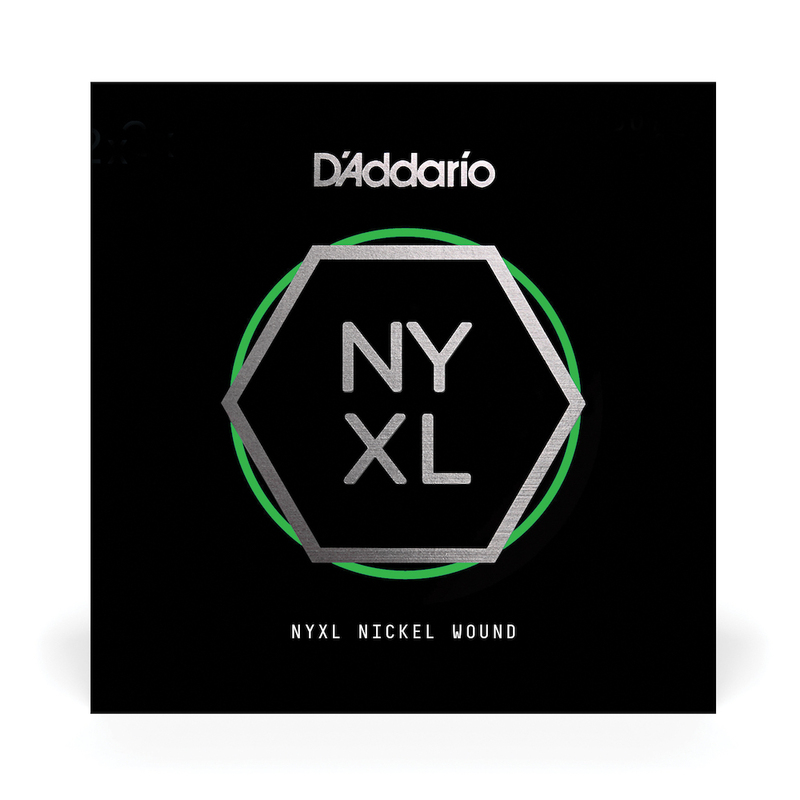 Made in the USA, D'Addario reformulated these NYXL nickel plated electric guitar strings for improved magnetic properties creating higher output and greater midrange frequency response in the 1 - 3.5 kHz range. Purchase as single replacement strings or build your own custom set. Plays good, a great choice for that bothersome middle gauge. Once you get into a single plain string larger than 18, it becomes too uncertain when worn, hard to tune, and just doesn't sound / feel as good. This wound counterpart gives the warmness of a wound string, while maintaining the thinness necessary for a higher tuning than is typically achieved with a wound string. This is particularly useful for the pedal steel guitar, for which I made this purchase. D'Addario NYXL wound strings are a particularly good choice - long lasting, good tone, anti-rusting, staying in-tune well.